When you first start exploring Honolulu, there are a few essential venues you simply can’t skip. A Pearl Harbor and USS Arizona tour is a must for first-time visitors, as is a hike up to Diamond Head. Yet once you acquaint yourself with the requisite tourist spots, it’s time to start experiencing the city like a local. 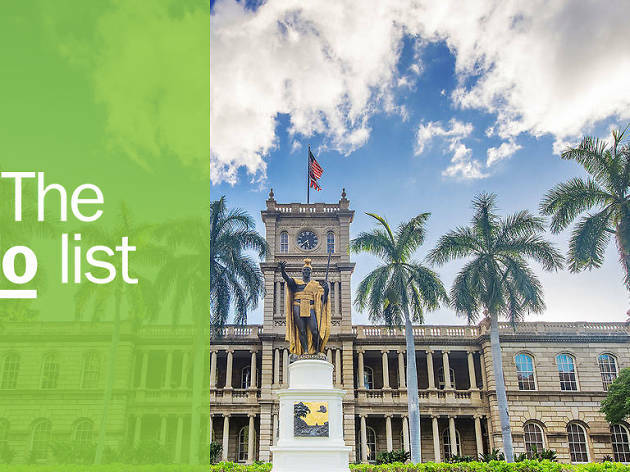 Beyond the beaches and past the souvenir shops, take in the dynamic culture of Honolulu through hidden gem museums and attractions beyond the resort strip. Honolulu is full of royal history, immigrant stories, and some pretty tasty local fare. Follow this guide for some of the best things to do the next time you fly into HNL. What is it: A summer retreat for Hawaiian royalty, located in the Nu‘uanu Valley. Why go: Between 1857 and 1885, Queen Emma and King Kamehameha IV would escape Honolulu heat waves by retreating to this shaded summer palace. Known locally as Hānaiakamalama, the property is listed on the National Historic Registry and is open to guests for exploring personal effects and interior furnishings. Take a guided tour for detailed insight into royal history, or stroll the grounds at your own pace. What is it: A popular all-day diner serving generous breakfasts and local fare. Why go: Islanders Jerry and Jan Fukunaga began Eggs ‘n Things in 1974 and there’s been a line out the door ever since. Their pancakes are super fluffy and topped with fruit and whipped cream. Three-egg omelets will fill you for hours. But their loco moco is a must-try local delicacy with a bowl of steamed rice, a ¼ pound beef patty, and two eggs, topped with gravy, mushrooms and onions. What is it: An underwater park in a volcanic cone suitable for snorkeling and sea turtle sightings. Why go: Take a scenic drive along Kalanianaole Highway for incredible views along the southeast coast. Hanauma Bay is a protected marine ecosystem with clear warm waters and vibrant tropical fish you’ll encounter during a snorkel session. Just a few minutes down the road is the Halona Blowhole Lookout, with Makapu'u Tide Pools less than five miles away. 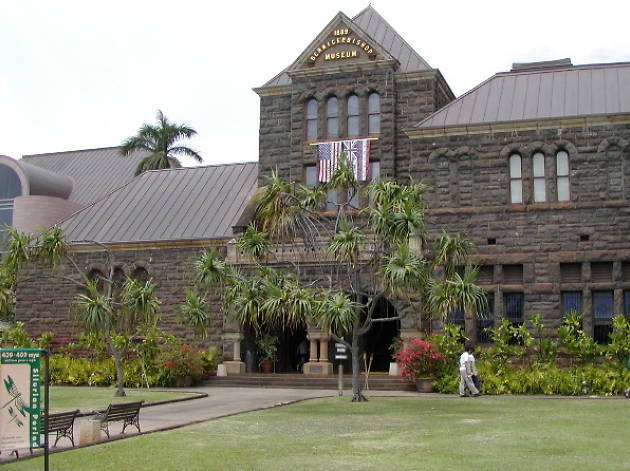 What is it: A museum of history and science focused on Hawaiian and Pacific Island culture. Why go: The Bernice Pauahi Bishop Museum is a family-oriented interactive museum exhibiting island history and science. Visit the lava melt theater for an incredible hands-on demonstration of how volcanic lava forms islands. Explore the history of voyaging and wayfinding. Then join planetarium guides to take a look at the night sky and map out constellations and planets. What is it: A cultural heritage complex with a gallery, teahouse, and martial arts dōjō. 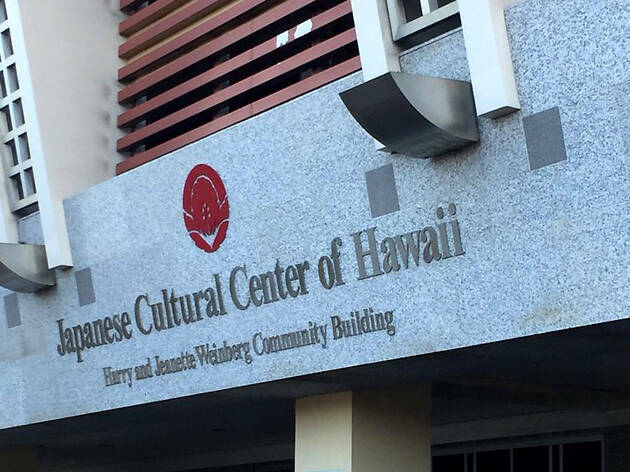 Why go: This thorough cultural center offers exhibits exploring the Japanese American experience from immigration to Hawaii into contemporary times. Take a wander through historic artifacts, join a narrated tour or learn about the Japanese tea ceremony practice. Sneak a peek into the Kenshikan Dōjō to witness traditional martial arts classes in motion. What is it: A casual Hawaiian eatery serving classic plate lunches and bento boxes. Why go: On your scenic drive to Hanauma Bay, make a pit stop at Fatboy’s for Hawaiian comfort food. The Hawaiian plate lunch is a combo platter including an entrée, white rice and macaroni salad most often served in a take-out box. Fatboy’s has you covered with loco moco, island shrimp and teriyaki beef and chicken. These savory meals are budget-friendly, too. What is it: A free 400-acre park with tropical trees from around the world. Why go: Close to two dozen bird species make their home at this serene park, including Hawaii’s ‘Auku‘u (Black-crowned Night Heron) and Kōlea (Pacific Golden Plover). Stop by the visitor center to pick up a trail map and explore the grounds, identifying native Hawaiian plants and a global selection of tropical trees. On weekends, join the catch and release fishing program using handcrafted bamboo poles. What is it: The second oldest public aquarium in the country, dating back to 1904. Why go: While swimming or snorkeling off the coast, you just might encounter some of the local sea life. 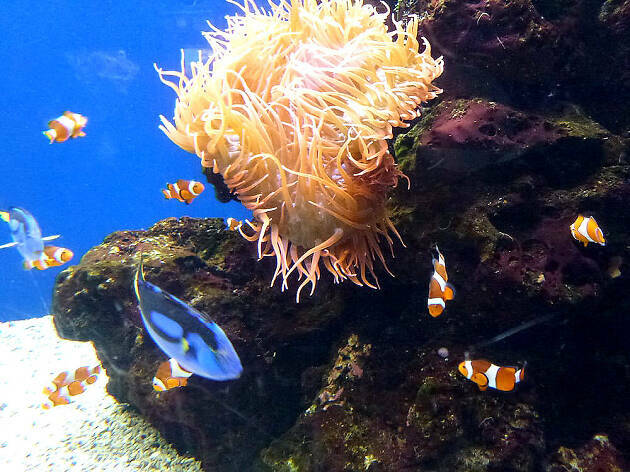 A visit to the aquarium guarantees you’ll get an intimate look at active coral farms, colorful giant clams and a rainbow assortment of tropical fish. One of the most popular attractions is the Hawaiian Monk Seal Habitat, giving a close up view of this endangered Hawaiian species. What is it: A Portuguese-Hawaiian bakery serving decadent malasadas. Why go: There’s a rich history of malasadas in Hawaii, resulting from Portuguese immigrants who moved to the islands to work in sugar cane fields. Leonard’s Bakery, founded in 1952, is where you’ll find the most decadent solid doughnut on the island. Try a classic sugar dusted malasadas, a popular custard filled treat, or inject some island flavor with a coconut filled dessert. What is it: Founded in 1922, this is the largest art museum in Hawaii with more than 50,000 works on display. Why go: What began as the private art collection of Charles Montague Cooke and Anna Rice Cooke is now a sizeable collection with some pieces more than 5,000 years old. Exhibits include contemporary works along with one of the largest collections of Pan-Pacific art in the country. Take a break in their open-air cafe to enjoy island fare among garden sculptures. What is it: Iconic pineapple-shaped shortbread cookies made in Honolulu. Why go: Perhaps you’ll recognize these sweet treats from your Hawaiian Airlines flight snack cart. Each island has their unique version of shortbread, and Honolulu Cookie Company has been slinging theirs since 1998. Butter macadamia shortbread is the classic, but those dipped in Guittard chocolate are among the most popular. Island-inspired flavors include mango macadamia, Kona coffee and lilikoi (passion fruit). Stop in for free samples.